Bluetooth Low Energy products represent a quantum leap for Bluetooth technology, allowing billions of previously disconnected devices to join the connected world with very low power consumption. Besides really low power messaging, like we used in our Activ8 Bluetooth Low Energy device, it is also possible to stream sensor data at high rates for specific applications. 2M has experience in Bluetooth Low Energy product development for low power messaging / sensor solutions as well as for live streaming high datarate products. Bluetooth Low Energy is supported from iPhone 4S onwards. All newer iPhones and iPAD devices are Bluetooth Low Energy enabled. Android embraced the Bluetooth Low Energy technology a little later, but now most new Android phones also support Bluetooth Low Energy. Bluetooth® technology is the global wireless standard enabling, convenient, secure connectivity for an expanding range of devices and service​s. It is an essential element for bringing everyday objects into the connected world. Created by Ericsson in 1994, Bluetooth wireless technology was originally conceived as a wireless alternative to RS-232 data cables. Bluetooth technology exchanges data over short distances using radio transmissions. Bluetooth technology operates in the unlicensed industrial, scientific and medical (ISM) band at 2.4 to 2.485 GHz, using a spread spectrum, frequency hopping, full-duplex signal at a nominal rate of 1600 hops/sec. The 2.4 GHz ISM band is available and unlicensed in most countries. What is Bluetooth Low Energy used for? Bluetooth wireless technology is built into billions of products, from cars and mobile phones to medical devices and computers and even forks and toothbrushes. 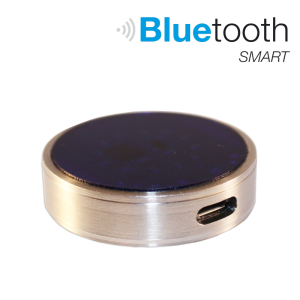 Bluetooth technology allows you to share voice, data, music, photos, videos and other information wirelessly between paired devices. What else can Bluetooth technology do? Originally intended to be a wireless replacement for cables on phones, headsets, keyboards and mice, Bluetooth technology now goes way beyond that. Bluetooth technology is bringing everyday devices into a digital and connected world. In the health and fitness market, the use cases vary widely — from sensors that monitor activity levels to medical and wellness devices that monitor healthcare, like a glucometer, inhaler or toothbrush. The top-selling Smartphones, PCs and tablets all support Bluetooth technology. In-vehicle systems give the ability to make phone calls, send texts, and even make dinner reservations. The Bluetooth SIG is also seeing developments where drivers will monitor important information like vehicle diagnostics, traffic, even driver health — all in real time. Bluetooth technology is creating opportunities for companies to develop solutions that make a consumer’s life better.